In Pohjois-Savo, six areas of development with strong international know-how and business activities have been identified, where through the advancement of technological solutions and expertise, the vitality and competitive edge of the economy can be ensured. 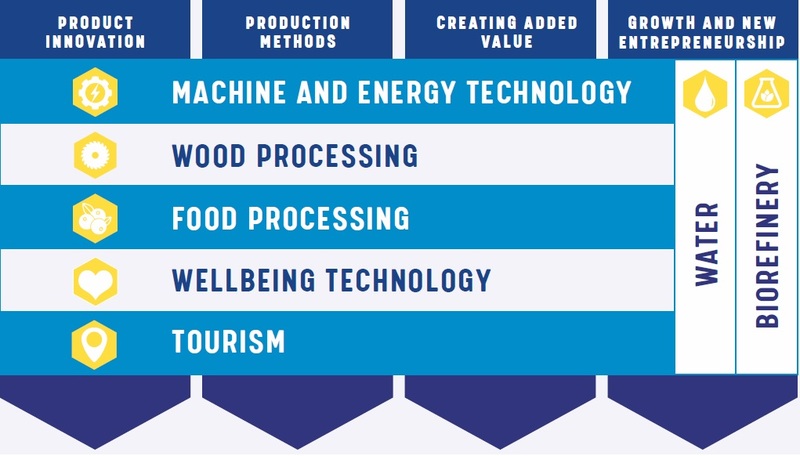 These areas are: machine and energy technology, wood processing, the food industry, wellbeing technology, tourism, and, spanning across the others, water and biorefinery. For several terms, East and North Finland have, with the support of the structural funds, determinedly reinforced research, development and innovation activities in support of their regions’ businesses and increased collaboration between businesses and research in order to facilitate growth. Above are documents that describe these development processes.